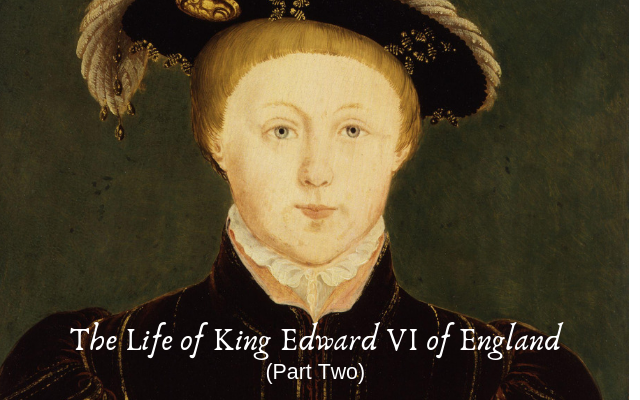 This is Part Two in my series on the life of King Edward VI. If you missed Part One, click Here. It was at Westminster that King Henry VIII took his last breath. He had reigned in England since his father’s death in April 1509. When he came to the throne he was a young, athletic and by all accounts attractive man. The man Henry VIII was just before his death in January 1547 was much older, obese and smelled of leg ulcers. Not the catch he once was. The King’s legs eventually became so swollen, and his pain so severe, that he had to be carried around, room by room, in a chair. I wonder how many men could carry him? I wonder what the chair looked like? If you know, please send me a message because quick Google searches did not render any results for me. Okay, so, not only did Henry VIII have swollen legs but as I mentioned earlier he had an issue with leg ulcers. He had more than one and they smelled of bacteria infested puss. Cuz that’s what it was. I honestly feel bad for Henry. Using red-hot irons the doctors regularly cauterised the King’s ulcers to close the wound. It’s no wonder he was so cranky and unruly. So anyway…Henry VIII had been sick in bed for while and had decided to finalize his will. The will was dated December 30, 1546. It was signed at the top and at the bottom. Historian Suzannah Lipscomb states in her book, “The King is Dead” that King Henry had not signed his own named since September 1545¹, so it comes as no surprise that a stamp had been used on his will. So that brings us back to Edward VI. 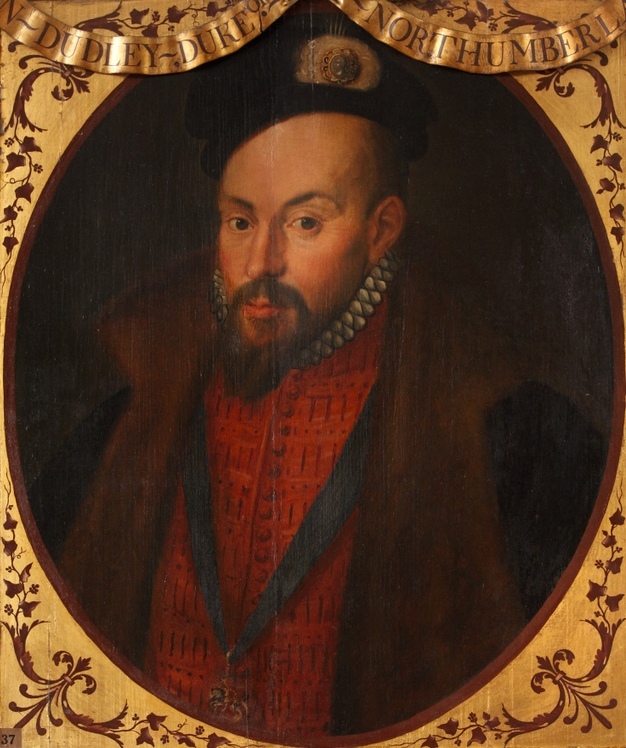 Three weeks after the death of Henry – the titles warranted, per his will, were delivered to its recipients, who included: Edward Seymour, William Parr, John Dudley, Thomas Wriothesley, Thomas Seymour, Richard Rich, William Willoughby and Edward/Edmund Sheffield. On that Thursday after the late King’s burial, on the 18th of February 1547, all the temporal lords gathered at the Tower of London wearing their robes of estate. Leading off this ceremony was Edward Seymour, Earl of Hertford and Lord Protector and uncle to the King. He was wearing his kertell and was led from the council chamber to the King’s presence with all pomp and circumstance. If you’re like me, you are probably asking yourself, “What is a kertell?” With the help of my friend, Susan Abernethy, she helped me to visualize it a bit better. A kertell was like a gown, a short gown for men. We might compare it to a tunic. Under it they wore tights. 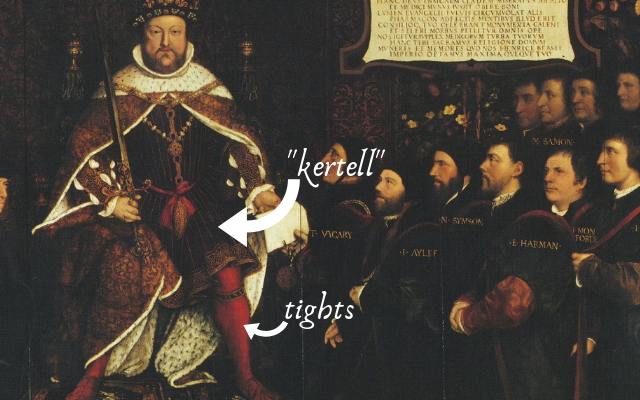 The portrait of Henry VIII with his barber surgeons is a perfect example of a kertell. As Edward Seymour entered into the King’s presence chamber he was led in by “The officers of arms in their coats of arms”, two and two. The Garter, baring his letters patents. The Earl of Derby (Edward Stanley), baring his mantle. Then on the right hand of him the earl of Shrewsbury (Francis Talbot), baring the rod of gold; and on the left hand the earl of Oxford (John de Vere), baring the cap of estate with the crown. The earl of Arundell (Henry Fitzalan), baring the sword, the ‘pomell’ upward. Then the said earl [of Hertford] led between the duke of Suffolk (Henry Brandon) and the marquess Dorset (Henry Grey). And thus in goodly order proceeding, after they entered into the chamber of presence, they made three (iij) reverent ‘obacyens’ to the King’s highness, and when they came to the cloth of estate the Lords stayed standing while Edward Seymour knelt down. Then the Garter delivered the letters patents to Master Secretary, William Paget. Paget then delivered them to the King, the King, in turn, handed them back to Paget and had them read them openly. The King then placed on Edward Seymour, his mantel, and then put about him a band/sash, over one shoulder and under the opposite arm. Following that he put on his cap, or crown and then delivered to Seymour his rod of gold. Following that William Paget, the Master Secretary read the patents which contained the creation of Seymour to become Duke of Somerset, Earl of Hertford, etc. Once Somerset’s ceremony had concluded they moved on to the next, in order of rank. Each man’s ceremony was like that of Somersets. 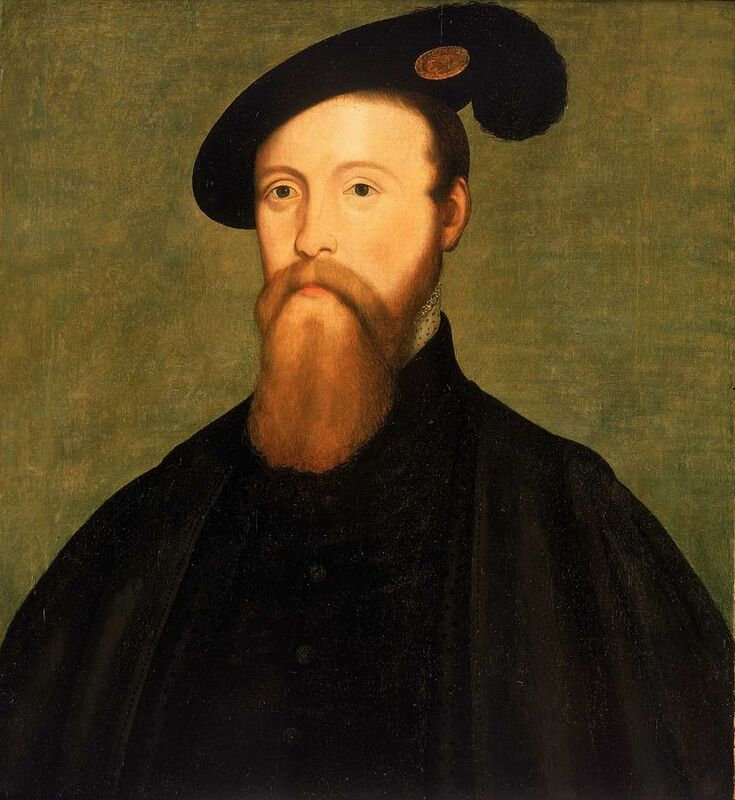 With Edward Seymour being raised to Duke of Somerset, he would have been the only duke created that day. So, by rank, he was the first to go. After duke comes Marquess, which there was but one: William Parr, Earl of Essex. He was led between the Marquis Dorset (Henry Grey) and the Earl of Arundell (Henry Fitzalan). He was then created Marquess of Northampton and Earl of Essex in similar fashion. After Marquess comes Earl, there were two men raised to Earl on this day, the first was John Dudley, Viscount Lisle. Dudley was led between the Earl of Derby (Edward Stanley) and the Earl of Oxford (John de Vere). He was then created Earl of Warwick and Viscount Lisle, etc. And also given a patent for the office of the Great Chamberlain of England (a position vacated by Somerset after being created Lord Protector). 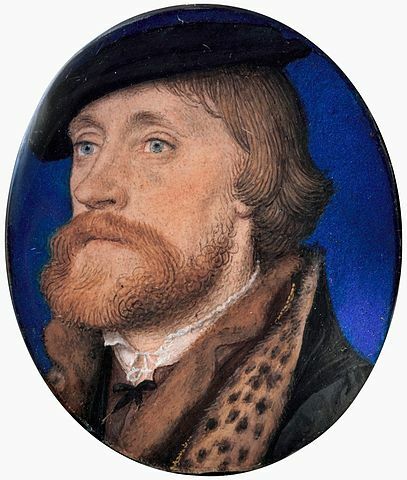 The second man to be raised to Earl was Thomas Wriothesley, Lord Chancellor of England. Created Earl of Southampton. Wriothesley and Somerset had very different views – especially when it came to Somerset being Lord Protector. He did not think it right. It should come as no surprise that not long into the new king’s reign he was relieved of his duties as Lord Chancellor and removed from the privy council as well. Following Wriothesley were the newly created barons (four of them) entered, starting with the brother to Somerset and uncle to King Edward. 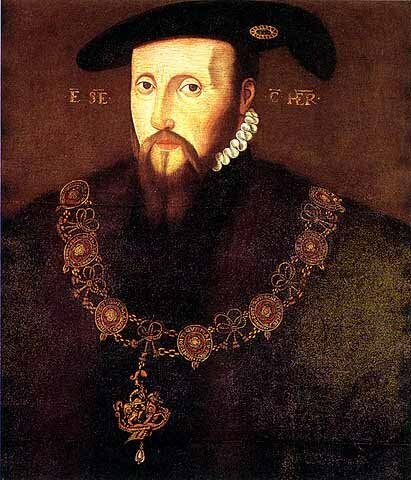 Sir Thomas Seymour, Knight, entered in his kertell and was led between two barons in their robes of estate. A baron before him baring his mantell, Garter baring his letters patents. For someone who has been researching Thomas for quite a while this was a wonderful discovery. This proves that Thomas was given both titles at the same time. When I first began researching him I had read that he was given Lord Admiral after complaining he did not have enough power as uncle to the king. My tip- keep looking until you find a contemporary report. One written during the lifetime of your subject. You can form your own opinions from there. Following Seymour was Sir Richard Rich. Rich had the same ceremony as previously listed and was given his patent containing the creation of him to be a baron of Parliament. He became Baron Rich of Leez. Then came in Sir William Willoughby who was created Baron of Parham. Lastly, Edward or Edmund Sheffield, created Lord Sheffield. and Sir John Gage, Comptroller. They were presented with their ‘stavis of their offyces’. Then the group proceeded, all in their robes of estate, and the dukes, marquesses, earls and barons with their caps of estate on the heads, in like order as they were created, to the council chamber to dinner. As they left for dinner, the trumpets began to blow. The men were led from the room, by officers of arms who walked two by two, then the Garter led out the Duke of Somerset who was followed by the rest of the peers. When they arrived at the dinner chamber the peers removed their mantels and hoods and sat in their kertells for the dinner. When the second course arrived, Somerset herald, because at that time Garter was ‘horrse’, proclaimed all the peers newly created, with the fees given by them to the heralds. And after dinner the men changed into other apparel, and some went to give thanks and to attend on the King’s Highness, and the other at their pleasure. the lord marquis Dorset, the earl of Darby, the Lord Seymour of Sudeley, and Sir William Paget secretary, and delivered unto each of them the same time a George and a garter, and the same time the King’s Majesty wore his George about his neck and his Garter about his leg which had been delivered to him by the Lord Protector. These men were able to become members of this exclusive and member-capped club due to four vacancies made that year: King Henry VIII (who died), Thomas Howard, Duke of Norfolk (who was degraded and in the Tower), King Francis I of France (who died) and lastly, Henry Howard, Earl of Surrey (who was degraded & executed). 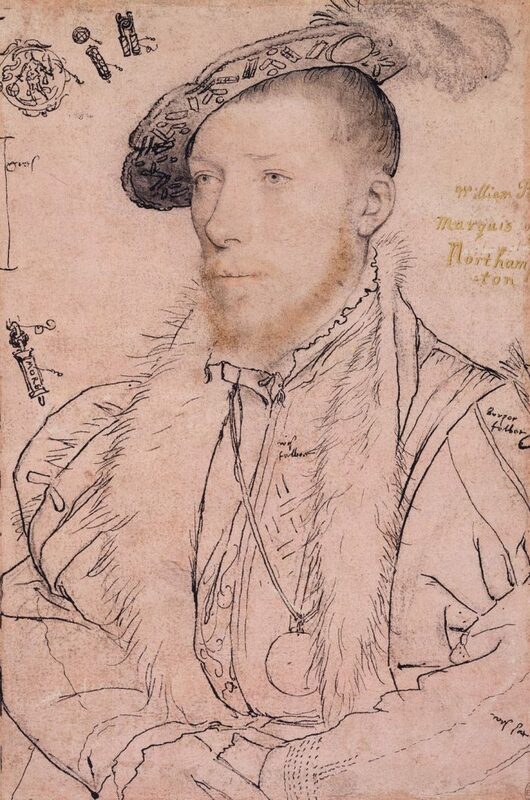 Henry Howard, Earl of Surrey (degraded & executed). 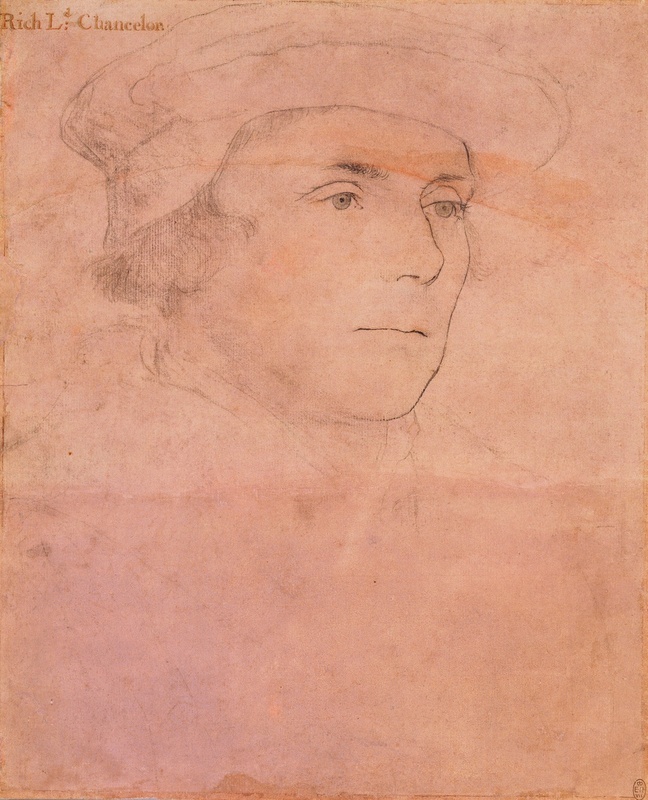 The ceremony is referenced in Jessie Childs’ book, The Last Victim of Henry VIII when she describes the ceremony for Henry Howard, Earl of Surrey. This actually turned out to be a busy few days of ceremonies. The following day, the King left the Tower for the first time since arriving and began his coronation procession through the city of London. His destination, Westminster. The following day his coronation would be held at Westminster Abbey. On this occasion, Edward rode on horseback. His uncle, the Lord Protector on his left side; a state canopy carried by six knights, BUT Edward rode a little ahead of the canopy so that the ‘people might the better see him’. His highness was richly appareled with a gown of cloth of silver, all over embroidered with damask gold, with a girdle of white velvet wrought with Venice silver, garnished with precious stones, as rubies and diamonds, with true-lover’s knots of pearls; a doublet of white velvet according to the same, embroidered with Venice silver, garnished with like stones and pearls; a white velvet cap, garnished with like stones and pearls; and a pair of buskins of white velvet. 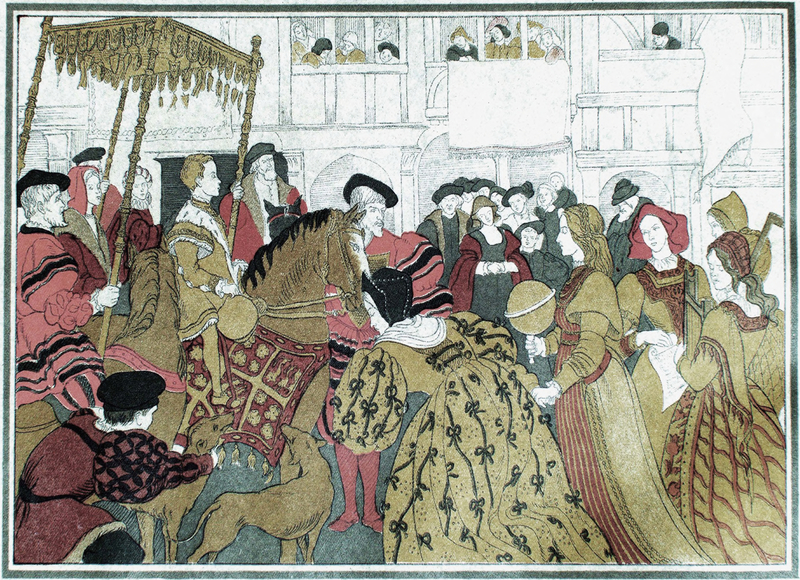 Public Domain – Coronation of Edward VI of England. Illustration (verso, page 34) from The Masque of the Edwards of England, published in 1902. At various states of his progress pageants with speeches and songs were exhibited before him; and in St. Paul’s churchyard he was detained for ‘a good space of time’ in order to watch the performances of a rope-dancer, a native of Aragon, for whom a cable was stretched from the battlements of the steeple to a great anchor at the deanery gate. He was quite amused. The King appears to have slept at Whitehall that evening. The following day was the coronation of Edward VI, it was Shrove Sunday, 20th of February. The noblemen were summoned to be in attendance by the early hour of seven in the morning. During the ceremony there were three crowns, each place on the King’s head. The first being King Edward’s crown, followed by the imperial crown of England and then a ‘very rich crown’ which was specifically made for Edward. The following day, at one o’clock in the afternoon royal jousts held at the Palace of Westminster. King Edward and the Lord Protector, as well as other noblemen were present in his highness’ gallery to witness the jousts. The joust had six challengers and twenty-five defender. 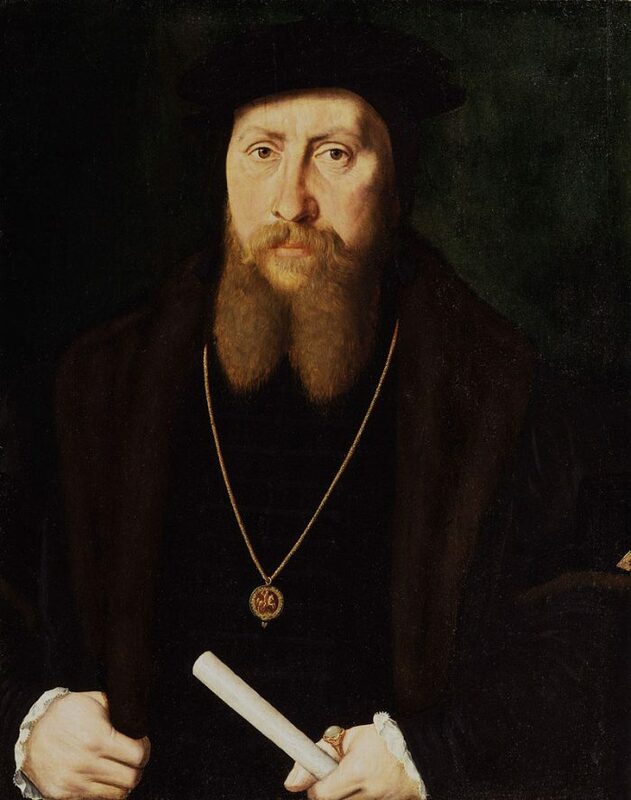 The challengers were: Sir Thomas Seymour, Baron of Sudeley and Lord High Admiral, Sir Richard Devereux, Sir Anthony Kingston, Sir Peter Carew, Francis Knollys and Mr. Shelly. The challengers ran against every one of the defenders. That evening, after the events had concluded, they all returned in ‘goodly order’ to the house of the Lord Admiral (Seymour Place), where they had a “goodly” supper prepared for them, with great feasts and thanks. A so-called carpet knight was a person who had been awarded a title of knighthood by the king of England on a holiday occasion (or in time of peace), as opposed to knighthoods awarded for military service, or success in tournament games. One can almost imagine how spectacular all of these events were. I’m hoping that through descriptions and pictures I have been able to bring some of it to life. Childs, Jessie. Henry VIII’s Last Victim: The Life and Times of Henry Howard, Earl of Surrey Hardcover – December 10, 2007. Thomas Dunne Books. Lipscomb, Suzannah. The King is Dead: The Last Will and Testament of Henry VIII. December 20, 2016. Pegasus Books. Strype, John. Memorials of Archbishop Cranmer by John Strype, Vol. II, Oxford 1848.